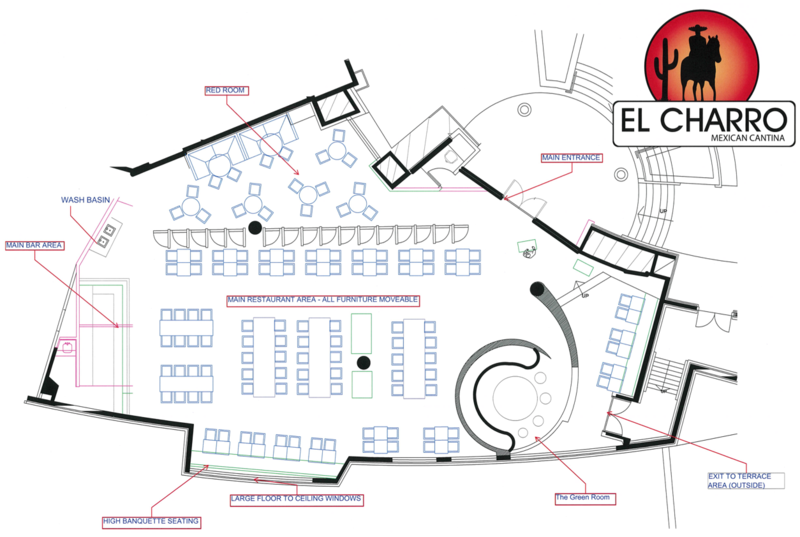 With 150+ seats EL Charro ticks all the boxes in its appearance with its eye-catching interior featuring bright red and sunburst orange, tilled tables fill the main floor area whilst clever partitioning creates several private areas for those requiring a little privacy. An open kitchen supports the chef-driven, made-from-scratch dining experience in a comfortable relaxed and warm setting serving quality Mexican & Tex-Mex Cuisine with a focus on fresh ingredients, bold flavours and eye-catching made to order items. 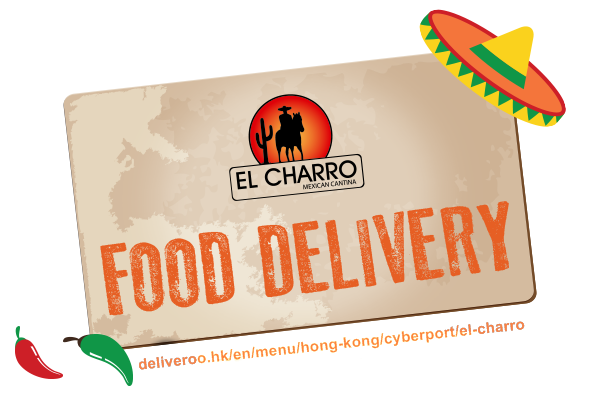 EL Charro opens 7-days a week serving lunch and dinner with afternoon promotional items from 12noon till late and occupies the spacious site previously occupied by GOD in the shopping arcade. A popular venue for large group bookings, be it a wedding venue for 200 persons with sit-down meal, a corporate cocktail with finger-food buffet for 250 persons or a comedy performance for 300 persons EL Charro ticks all the boxes – contact us today. If you would like to book a table at EL Charro for up to 8 people, please use our booking form below. We will send you confirmation as soon as we can. For bookings less than 48 hours away please call us on +852 2793 2522. Our unique space and private sections are available for your next event be it a birthday or a wedding, baby shower or corporate dinners, make it special here at EL Charro.